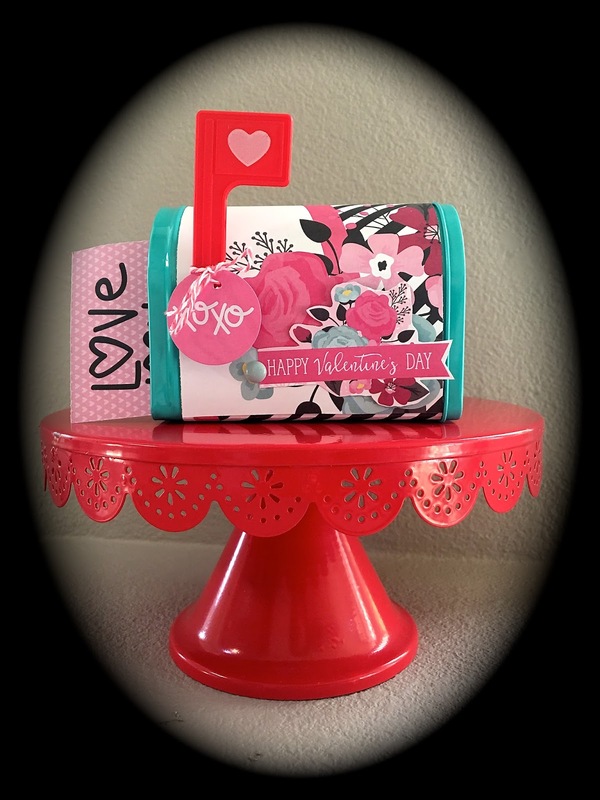 Wouldn't you know it's February already and with Valentine's Day right around the corner!?! Simple Stories Love & Adore collection can be found at FotoBella.com and is just the right collection to inspire some "love"ly crafts! Apryl here with you today, FotoBella design team member, and I've got a cute project for you. I've got a confession, every year around this time, the dollar spot at Target has these cute little tin mailboxes, and every year I buy some....and this is year I finally use them in a project! 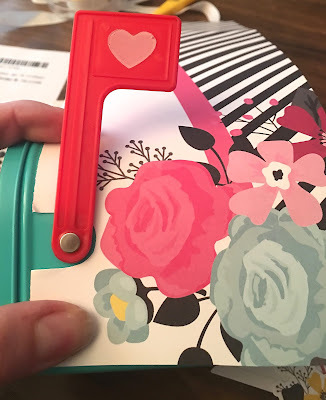 I'm sure many of you can relate :) For this project I'm using the Simple Stories Love & Adore collection to embellish a turquoise and white mailbox. 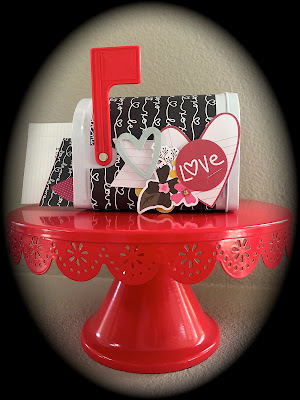 This is really a fast and easy project and just so cute! 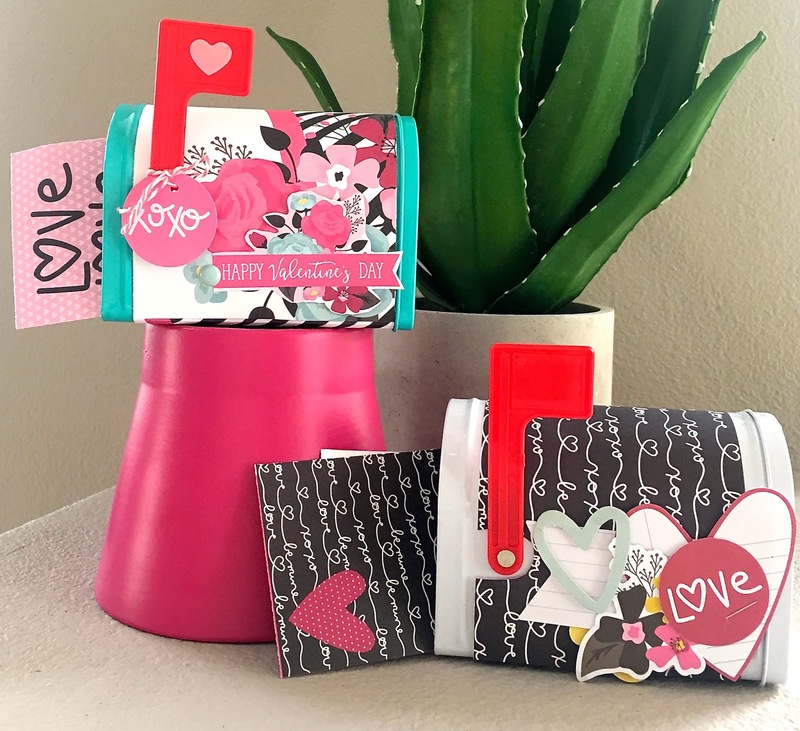 Perfect for the kiddos to take to school for their Valentine exchange or to tuck a few Valentine goodies of your own to give as gifts. To start, I cut a piece of "So Happy Together" paper and "Elements" Paper that measures 12"x4" so that it would wrap around the body of the mailbox. It really fits perfectly, but one thing worth mentioning is that you do have to cut a notch out so that the flag on the mailbox is not covered up and moves properly. So happy to share my first design team project for the year with you! Looking forward to many more! So cute! I have seen those tin mailboxes. This is the perfect project to put them to use. Love the cake stand in your photos, too. Sometimes it's hard to find cake stands in metal, not glass. Thanks for the inspiration! Keep up the great work. 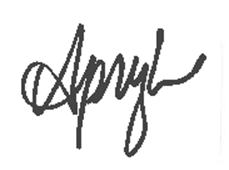 I am loving these so much, Apryl!!! Totally cute! Apryl this is just SO cute and creative! !